When you decide to start with affiliate marketing, wether you want to be an affiliate or you are an online shop that wants to be promoted through affiliation, you need to commit to a long term relationship. It’s like a marriage :). Both sides need to make some effort so things work out well, in harmony and agreement. Not that we have not known all this, but we had them reconfirmed by one of our top advertisers. So we talked to the person behind the children’s store Nichiduta.ro. He told us about how it all began, what troubles he is coping with and how he feels about this affiliate marketing thing. Any successful business catches the attention of others. But any successful business today has a lot of stories behind, a lot of overcome obstacles, lots of effort, ambition and perseverance. And a business that has been continuously successful for a few years is sustainable and doesn’t believe in hasty and superficial work. Daniel got the idea when he was working in the same industry for a company that wanted to go online, but with no significant investment or staff, looking only for immediate profit. He noticed the promising potential and decided to seize this opportunity and take advantage of his own experience in this niche. In 2009 we started out with minimum experience in online. Silviu joined in, one year later. We were delivering the orders ourselves with an old car. This is how it started. What matters the most for Nichiduta.ro? Happy customers and pleased employees. The quality of the products is not enough if services are not comparable. Delivery should be under 48 hours and the call centre should work perfectly. Whe you have over 50,000 products on your site, advanced logistics system is essential. After 6 months long effort, Dani and Silviu managed to implement a modern scanner based system that saves up a lot of time and space. They wish all of their partners understood the importance of logistics in such a field. Nobody said it was easy. But with no logistics these days, there is no way you can manage to count products and colors in a warehouse using a pencil and a notebook. Nichiduta.ro started with affiliate marketing in 2011, 2 years after launching the site online. Although affiliate marketing was very little known at that time, Dani was willing to give it a shot and grow his online store. We started out little by little, to see if it works. The stuff online about affiliate marketing was 1000% less than what there is now. Today, Nichiduta.ro is the first in the Kids&Babies category and the third overall network. What kind of affiliates does Dani want for his affiliate marketing program? Only the serious ones, willing to work and to respect the terms and conditions he has set. If the affiliate has a different proposal that he thinks will bring better results or he has any other questions? If there is anything else to add, there is that SEND button and he can send us an email. Besides, if you want to do affiliate marketing and have results, you need time. There is no great results for you or the ones promoting you, if they only do the work for 2 weeks. Everything here is long term. The Nichiduta.ro affiliate program offer a 5% commission and a 30 day cookie life. It has a 93% approval-rate-by-number and a 59 day time-to-payment. If you want to advertise for Nichiduta.ro, you can use their banners and feeds, but you cannot go for Adwords or any other SEM marketing. 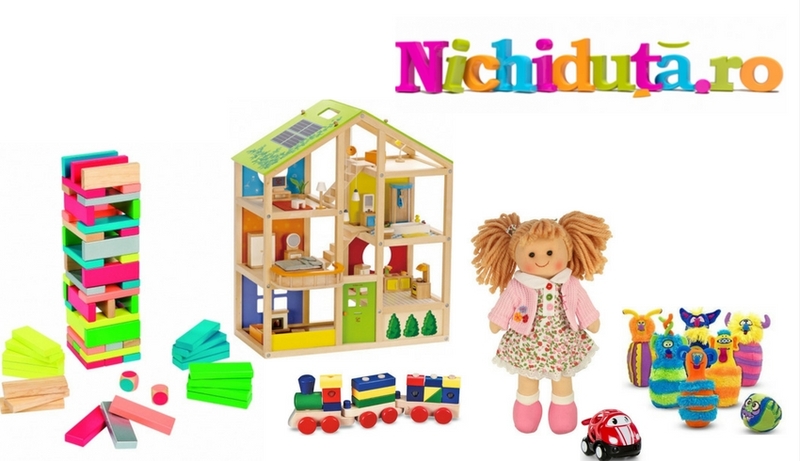 Nichiduta.ro has 12 large product categories, ranging from toys, furniture, food, school supplies and kids and babies clothes. Why is Nichiduta.ro one of the largest children online stores in Romania? Because they took this adventure as a long term one. They invested a lot of effort and passion, took things seriously and didn’t give up at the first obstacle they met. You should login right now and start promoting in their affiliate program.